Happy Monday! 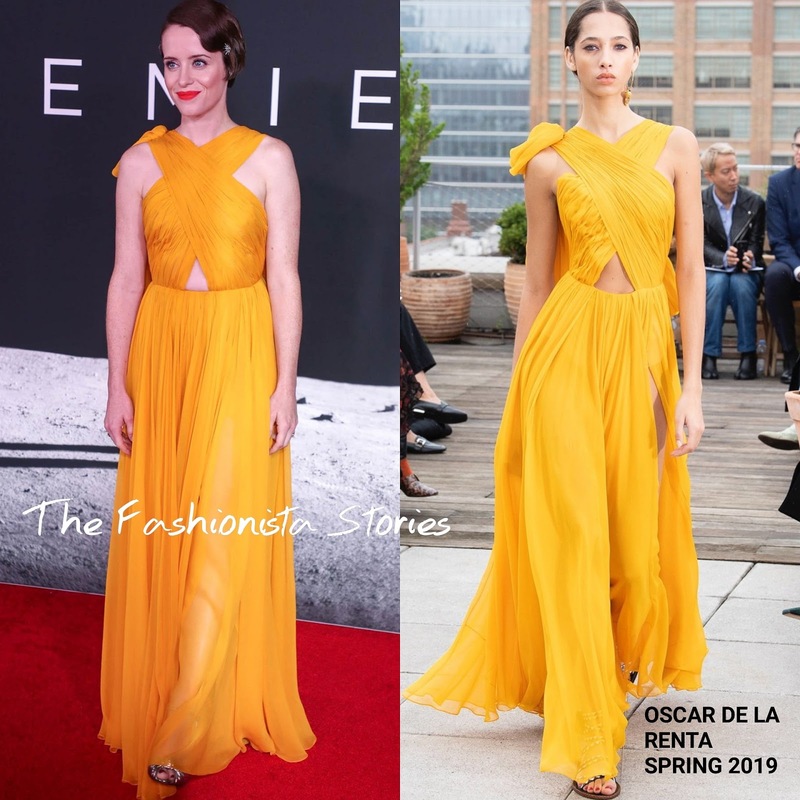 Coming in with the most votes for Best Dressed Fashionista of the Week and also my pick, Claire Foy in Oscar de la Renta Spring 2019. In second, Lady Gaga in Marc Jacobs Fall 2018 and in third, Olga Kurylenko in Attico Spring 2019.